Sisters Jessica and Julia are passionate about gaming. Jessica works at an AAA game studio and is co-owner of an indie game studio called Fallstreak. Julia works in PR/Marketing within the entertainment industry, and makes video games in her spare time. Julia and Jessica’s experiences stuck with them so much that, in college, they introduced their close friend Liz to iD Tech as well. Liz dove in as an instructor. “I loved the idea of teaching technology and games to kids,” Liz says. She now works at an AAA game studio and co-owns Fallstreak with Jessica. All three girls now have successful careers in game design. Jessica, Julia, and Liz all worked on Fallstreak’s first indie game in 2014: Axle. 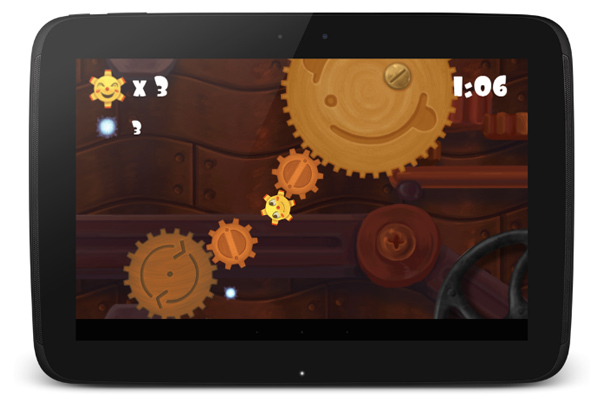 Axle is a mobile 2D side-scrolling game where you play as an exuberant little gear who maneuvers through various contraptions, charging them up and restoring the spark of their functionality. As opposed to most games where the player moves up, down, left, and right, in Axle, you move clockwise and counterclockwise. The game features a hand-painted art style and an original electro-swing soundtrack in a unique and vibrant world. “You can make anything into a game, even a gear, and that idea was how Axle started,” Julia says. The girls put together a talented team to create the game during their senior year of college. It was wildly successful, so much so that the trio founded Fallstreak to continue making games. The girls' skills and achievements as instructors at iD Tech are common. iD Tech staff have degrees from top campuses and often return to teach at camp for multiple seasons, inspiring and educating campers summer after summer. Like Jessica, Julia, and Liz, iD Tech instructors actually work in the tech fields they teach during the off-season, keeping their skills and knowledge fresh and staying on the cutting edge of technology. Your child can be a Game Designer too! Give them the same head start Jessica, Julia, and Liz had by checking out iD Tech’s video game design camp courses offered nationwide. No worries if your child isn’t into games; iD Tech offers dozens of other courses, so there’s something for every tech interest and age level.